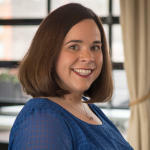 Molly Malone&apos;s: A true hidden gem! I&apos;m a little embarrassed to say that I&apos;ve worked in Covington for nearly four years and had never been to Molly Malone&apos;s Irish Pub & Restaurant prior to this visit. I knew about their St. Patrick&apos;s Day shindig with all the tents in the streets and it seemed like it would be a cool spot to meet for a few drinks at night, but I guess it never struck me as a go-to spot for lunch or dinner. But after my recent visit, I&apos;m definitely adding it into my rotation! 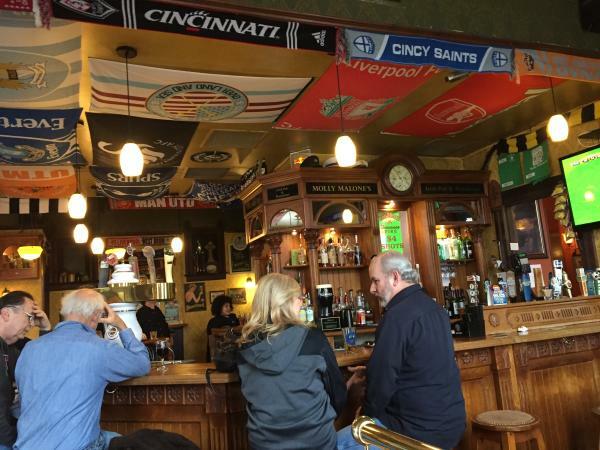 Molly Malone&apos;s is just a short walk from the Convention Center and is in the beautiful Roebling Point area of Covington (be sure to check out the Roebling Murals, Roebling Bridge and Riverwalk Statue Tour nearby). 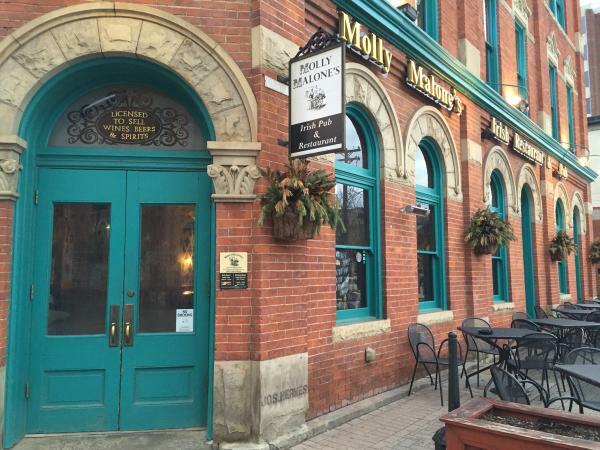 From the outside, Molly Malone&apos;s has some great architectural curb appeal and it will be a great spot for the upcoming patio dining season. When we opened the doors for an early weeknight dinner, we were greeted by the bartender who was serving several who seemed to be regulars. We took our seats at a cozy booth and were served promptly. The drink menu is extensive and they have an awesome happy hour--weekdays from 3 p.m. until 6 p.m., all apps, draft beer, wine, cocktails and domestic bottles are $2 off. 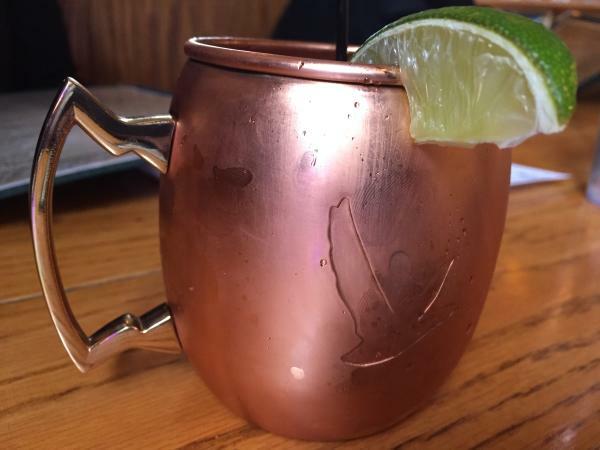 My coworker opted for the Back Road Mule, made with Woodford Reserve, lemon and ginger beer. She gave it two thumbs up and we moved on to appetizers. I&apos;m a huge fan of beer cheese, so ordering that was a given. After moving to NKY following several years in central & southern Kentucky, I&apos;ve had some trouble finding beer cheese in this area that compares to the spreadable, authentic version that originated in Clark County. While the version at Molly Malone&apos;s is not quite spreadable, I was very impressed with the flavor and I&apos;d definitely order it again. 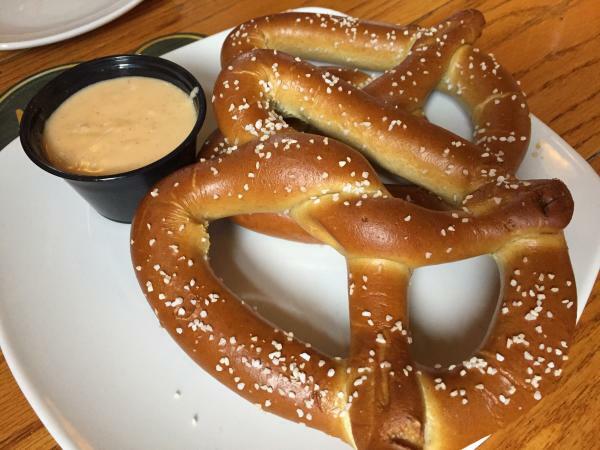 Both the pretzel and the cheese were served warm and left us scraping our plates for more! We also decided to order the Scotch egg--we were at an Irish pub, afterall! I can&apos;t say that I&apos;ve ever eaten a Scotch egg nor can I say that I&apos;m a super adventurous eater (if it&apos;s green, I steer away! ), but I was pleasantly surprised by the Scotch egg. 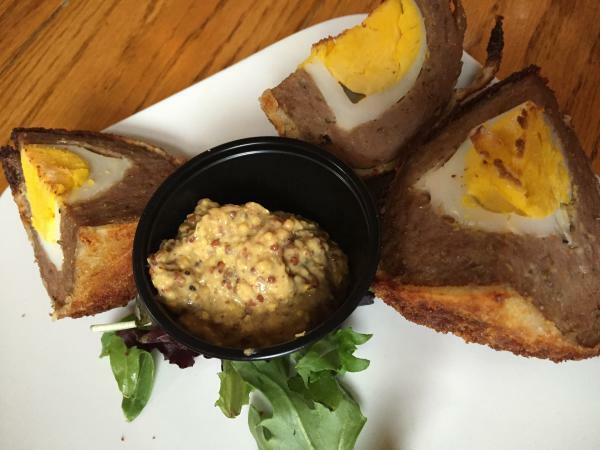 If you&apos;re into Scotch eggs or get a sudden midnight craving, I&apos;d say heading to Molly Malone&apos;s is a safe bet. 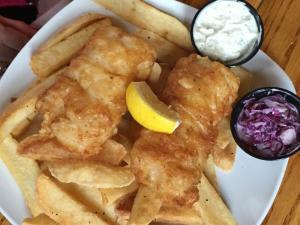 You can&apos;t go wrong with Fish & Chips at an Irish pub and Molly Malone&apos;s is no exception. 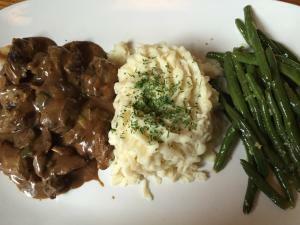 I was very impressed with their wide variety of menu selections and finally decided on the beef tips--they were delicious... so good that it will be hard for me to opt for something else next time! 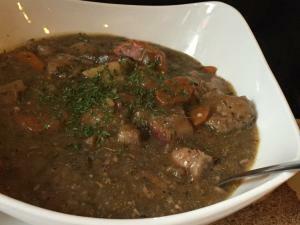 The lamb stew was very hearty and also got a thumbs up from my coworker! Ah, we were all stuffed and very happy with our experience and food... but we decided to get dessert to share anyway! 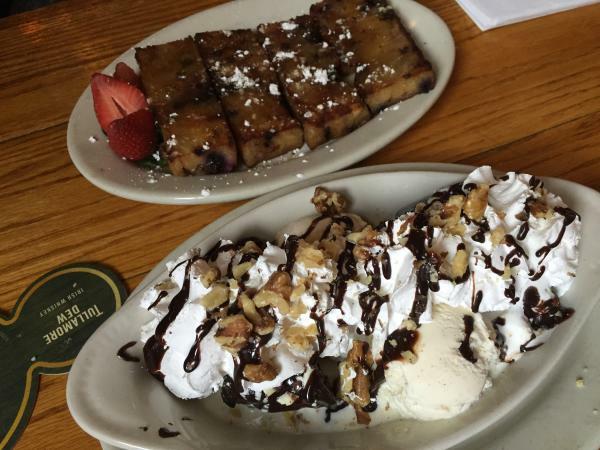 My pick was the brownie a la mode--my go-to at any restaurant... who can mess that up? But one of my coworkers doesn&apos;t like chocolate (crazy, I know!). Our waitress suggested the deep fried banana, but we all kind of wrinkled our noses and turned our heads sideways... she says some people love it, but a banana deep friend in beer-batter just wasn&apos;t sounding appealing to us. We opted for the bread pudding, which has blueberries and chocolate chips (Jennifer promised you can&apos;t taste the chocolate too much--and she was right!) with a whiskey butter. Both desserts were delicious, but the brownie a la mode is still my personal favorite! In conclusion, we were all very pleased with our experience at Molly Malone&apos;s and we can&apos;t wait to return. I was glad to see that they have a reasonably-priced kids menu with several kid-friendly options. I&apos;ve heard their pizzas are delicious... and all day on Thursdays, they offer 1/2 price pizza and bottles of wine! We&apos;ll be back soon!